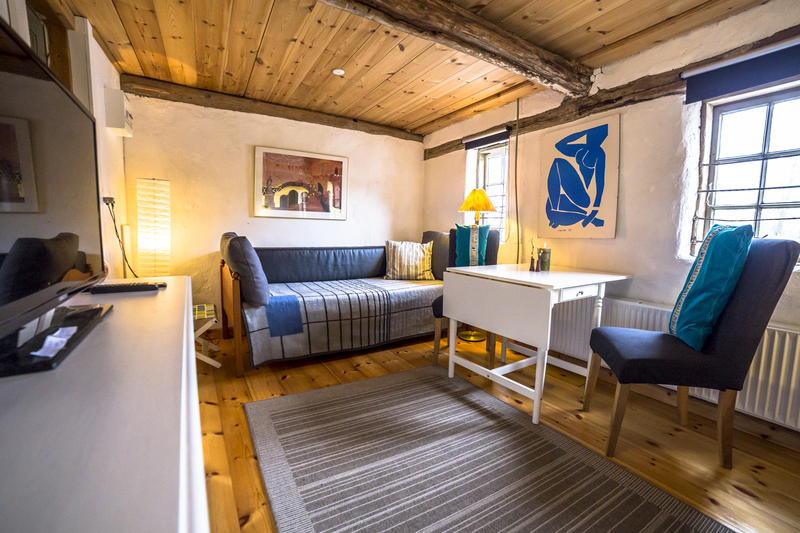 Our beautiful holiday home and room is located in the peaceful and cozy village of Døstrup, close to the Wadden Sea National Park and the Unesco Nature Heritage. Here are short to the beach and comfort as well as inside. Our farm is old and conservative, and we look forward to sharing its soul with you – come and stay with us! It is a very nice and romantic little holiday home for newly-groomed couples who will be on holiday for two. You can be in a peaceful and tranquil setting with the opportunity to make the food yourself. There are many good excursions in the area, especially Ribe, Rømø, Tønder. Many have also had a small child who just can enjoy our dogs, look at the tractor or play in the sandbox. There is the possibility to grill on the terrace, which has its own barbecue and garden furniture – lies to the west. In addition, our campfire can also be used to the west, so the sunset can be seen while enjoying the bonfire and silence. The holiday home can also be used as a base when the border area is to be explored, including miniferies if it is to be traded cheaply in Germany. In general, there are many excursion options during short breaks or weekend breaks in the area. The apartment is charming and cozy, with lovely double bedroom. 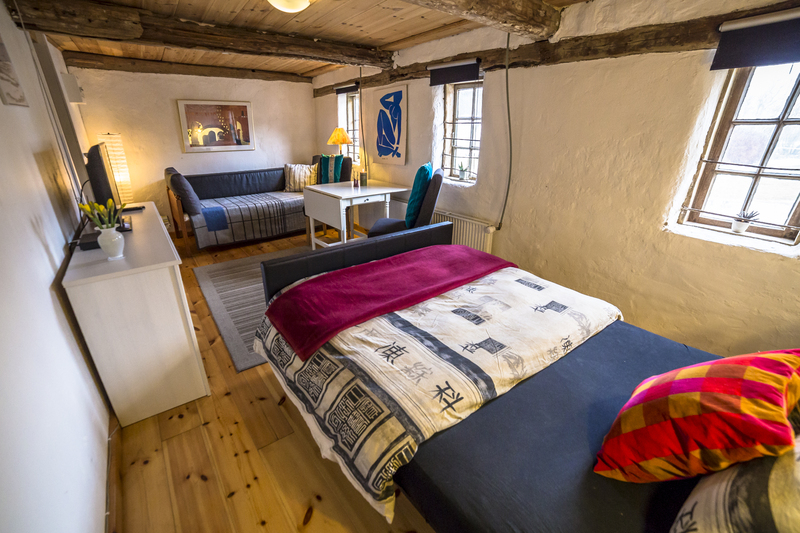 The room/horse stable is an approximately 20 m2 cozy room with double bed for 2. Are you considering getting Danish-Swedish farm dog? You can read about our Danish-Swedish farm breeders on this page. Contact us if you have questions or are interested in taking over one of our cute puppies. Our name is Bodil and Kristian and we are the happy owners of the lovely farmhouse Fæbrogård, which houses everything from rabbits, dogs, sheep and horses to happy Bed and breakfast guests. We look forward to welcoming you, your family or good friends in either our holiday apartment or in our room. See you in the countryside!